Only receive a notification popup when a user is within 3 days of their license expiring, all other license expiring notifications have been turned off (we automatically renew licenses when they’re within 60 days of expiring, so this should never happen anyway). 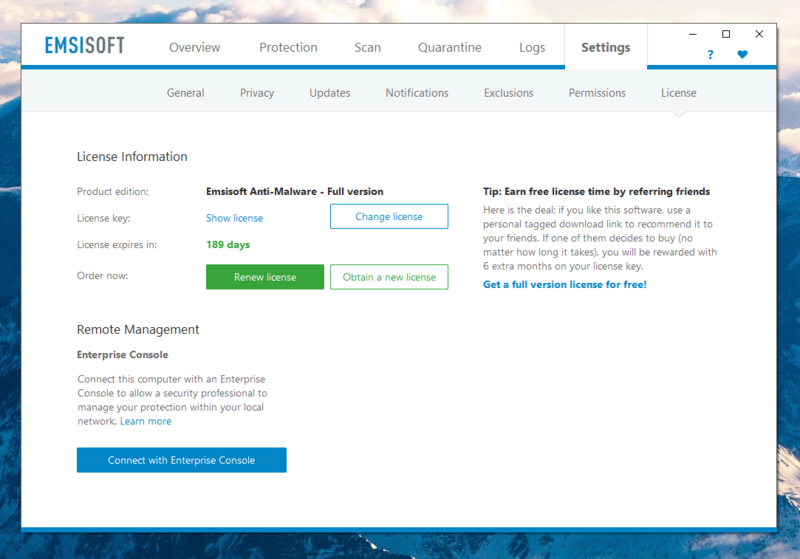 No longer receive popup notifications to renew a license for free by referring new Emsisoft to new users. 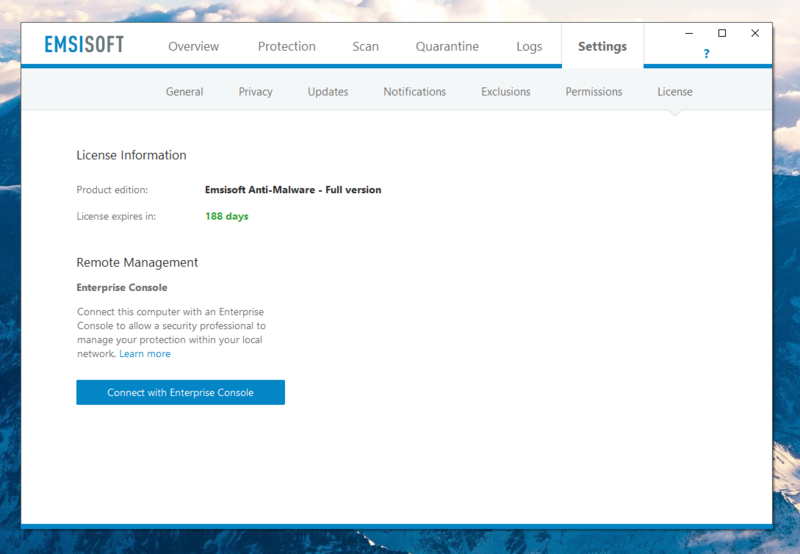 No longer be able to read and change their EAM license key. No longer see the news section at the bottom of the main Overview screen. Let us know if you have any questions, we’re always happy to chat! Thank you for the update and changes. Thanks for the continued improvements!